I love this picture of Isabella Rossellini and David Lynch. In 2004, my writing professor let us pick our first topic: I wrote a paper about how much I loved a book series. We had to read it out loud to the class. I was nervous, but naively thought I would be surrounded by similar people - we were in art school after all. The professor told us to write suggestions for each classmate. To my shock, the first suggestion I received was "get a new topic." I was crushed - admitting my fandom was a critical error. To outsiders obsessions can seem superficial - they are things that will fade as you mature into an adult. Some do fade, many you will find embarrassing and cringe at within five years time. But a few stick with you and are, as cliche as it sounds, building blocks. 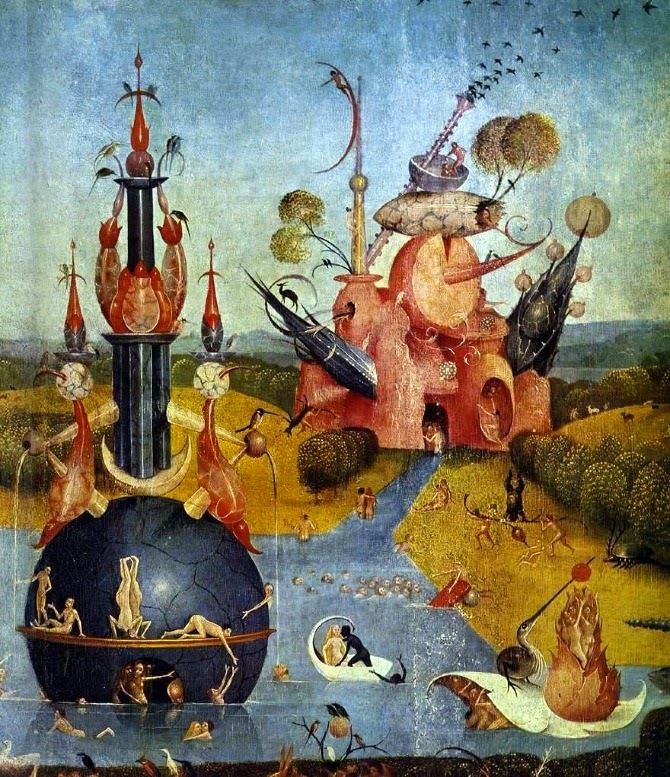 Hieronymus Bosch - my all time favorite artist. I keep getting into obsession ruts. Sometimes it's healthy. It sparks your creativity and you can connect with other people who like the same things you do. Obsession can also make you a passionate person and a hard worker. But it's a double edged sword - the things that we obsess over are frequently out of our reach and that can be discouraging. "It’s not the unrealized potential of the fan that makes his or her passion problematic — it’s that their pursuits offer no chance of rewards. Fandom is reasonably unsatisfying,” he says. “It doesn’t return something specific to the individual.” Not the best article or source, but I like the excerpt and it mentions some of the things I had been thinking about when I say discouraging. I like the phrase "reasonably unsatisfying". On the other hand, I disagree with the writer about there being a difference between hobbies like cooking vs. being a fan of Harry Potter. I'm not into Harry Potter*, but I think that it is as valid a hobby as cooking. Being a fan has derogatory connotations, where as having a hobby is supposed to be an exercise in self improvement. Where it becomes problematic is when we start expecting our lives to mimic people or objects we see. Or in some cases, we expect to be able to connect with them on a personal level. Take Instagram - the most voyeuristic and confusing platform for being a fan. 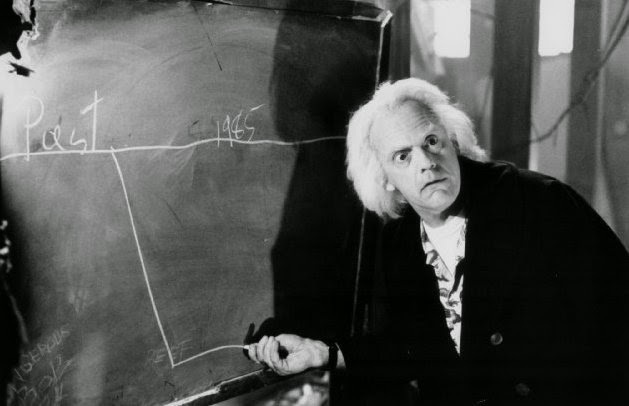 If someone has a Back to the Future shirt on I automatically presume I could be friends with that person (whoever they are regardless of social status) - and I shouldn't presume that, even if we are both obsessed with Back to the Future. Common passions don't always indicate kindred spirits, but it gives us a sense of hope that it does. And maybe hope isn't a bad thing to have. As long as people continue to be amazing, creative, and offer their unique point of view, it's impossible to stop being a fan. And I don't think there is anything bad about it. *Well, not a big fan.